MADI Moscow Institute of Technology, Ph.D.
MADI Moscow Institute of Technology, B.S. ●	Java SE and EE Technologies: JSP, JSTL, EJB 3.0, JSP, Servlets, JSF, JDBC, JNDI, Collections, Swing, Multithreading, Networking, Generics. ●	Web Services and Service Oriented Architecture (SOA). ● Service Component Architecture (SCA). 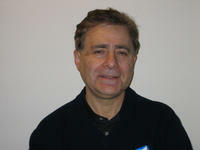 Vitaly Yurik, PhD, has more than two decades of software development and teaching experience. During the past 15 years he has been developing Java applications on both client and server sides. He has been a key developer, team lead, and architect on a wide range of projects that include e-commerce applications, e-business applications, the WebLogic application server, financial web and enterprise applications. He has developed and taught numerous courses for GPS since its inception in 1997.